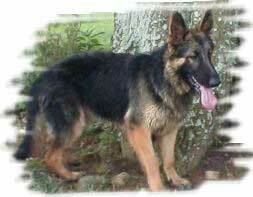 We just acquired a 1 year old fixed male GSD. We live on a ranch and when we call him he looks at us and then continues with where he wants to go. What is the best way to discipline him? We need to make sure he comes when called. thank you. Comments for what is the best way to discipline our 1 year old GSD that doesn't come when called. He looks at us and turns and does his own thing. How can you discipline for something you haven't taught? I totally agree with Debbie here. If you haven't done the work to teach your dog this command, how can you even think about discipline/punishment? Why would he come to you? Because you say so, or because you pay for his food, is not enough from the dog's perspective. It takes work to TEACH a dog to be cooperative, and there's no shortage of information online on Positive training methods, but there are no short cuts. You also shouldn't have this dog off-leash if he doesn't come reliably -- you're teaching him that there's lots of stuff out there more interesting than you, and that it's up to him to decide when to listen to you. On YouTube.com, search on "KikoPup" and look at her videos on teaching Come as well as all kinds of other commands. You'll want to start teaching this in the house, then outside on a leash, then on a long-line, and only when you're confident the dog understands and cooperates, then off-leash. Shepherds are bright and fast learners, including, if you choose to let it happen, learning how to ignore you. Get some training education in YOUR tool kit, then teach your dog patiently. Good luck. First of all you do not want to "discipline" him - you want to make the dog want to come to you - every time you call him. If you don't make it worth his time why should you expect him to come to you? And if you punish the dog when he does come to you why would he want to repeat that? Would you go to someone after they called you if you knew you would get "disciplined" when you got there? This is an essential piece of training and one that is potentially life saving. But you've got to make it a game - especially in the beginning and use whatever bribes your dog works best for - food, a particular toy, whatever. Here is a great short video by a wonderful young dog trainer on animal planet on teaching your dog to come. Check it out for yourself and then put your dog on a long lead and practice it with your dog until it is second nature to you both. It won't happen over night but with practice it will happen. Good luck.